GDPR-Compliant Email Marketing. Secure. Trusted. With more than 185,000 customers, Newsletter2Go is one of the leading providers of GDPR-compliant email marketing software. Our professional software meets the highest standards of legal compliance, and we make protecting your data our top priority. International data privacy laws can be an intimidating and overwhelming topic for marketers anywhere. And they continue to become more complicated. Thanks to email marketing, you can send newsletters and advertising to recipients anywhere around the globe. But international email marketing laws vary, and you could potentially get into hot water, for example, by sending unwanted emails to recipients in Europe. Tons of marketers don’t want to have to think about data privacy. They just want to create awesome content or A/B test the heck out of new campaigns. But just because they don’t want to doesn’t mean they don’t have to think about it. This is where we come in. Let us worry about the legal and privacy side of email marketing, so you can get back to creating awesome content. Because we’re located in Berlin, where one of the strictest international data privacy laws, the EU General Data Protection Regulation (GDPR), reigns supreme, we’ve made it our priority to offer GDPR-compliant email marketing software that’s also easy to use. And “just” compliance isn’t enough for us. We truly care about the security of your data. This is why we have secure servers in Germany that offer top-level data protection. And you can trust we’ll never sell your email addresses to third parties. Long story, short: With our email marketing software, data protection will never keep you up at night again. This page does not connote official legal advice. It is simply the best-researched information to our knowledge. Ready to Get Started With Newsletter2Go’s GDPR-Compliant Email Marketing Software? According to the GDPR, customers of all software tools that store third-party contact information (email addresses, names and other data) need to sign data processing agreements. This means we need to come to an agreement with you about how we store and process your contacts’ personal information. We’ve got this covered, too. 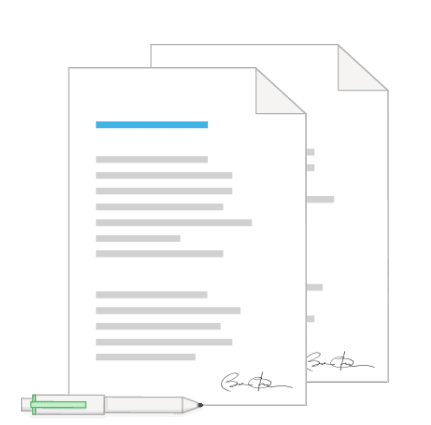 We’ve designed a procedure to make signing this agreement with us as easy and painless for you while still being legally watertight. All our customers have to sign a data processing agreements (DPAs) with us. This simple form can be filled out with just a few clicks in their online accounts. A lot of email marketing software companies will tell you they follow data privacy best practices. But why should you believe them? Don’t just take their word for it. Or ours, either. We regularly have one of the most exacting independent inspection services on the global scene, TÜV Rheinland, check our data protection practices. Once a year they visit our offices and examine our data security measures. See the Data Protection Certificate they issued us in German here. What’s more, this certificate serves to fulfill specific GDPR requirements. In plain language this means all of our 185,000 customers should stop by every year to make sure we’re handling their data carefully. While you’re certainly all welcome to stop by our Berlin office, that’s impractical for both you and us. 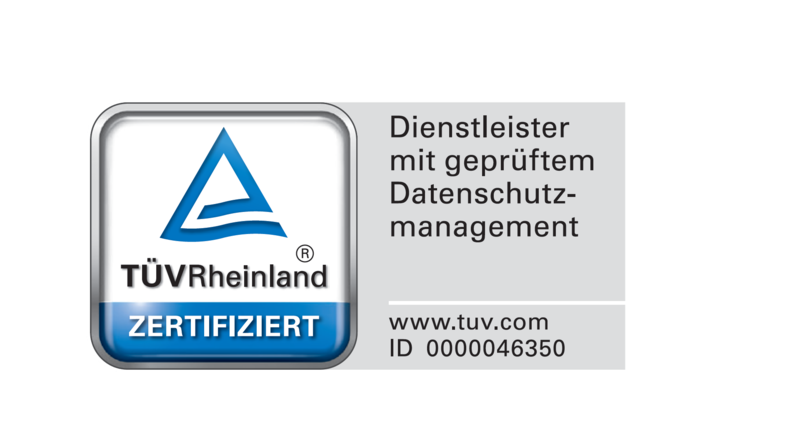 Luckily, our TÜV Rheinland certificate can stand in as legal proof of our careful data handling. Show your contacts you care about their data privacy. Grab our data protection seal (on the right), and upload it to your website as a way of ensuring trust. Then link to our homepage or to this page detailing how your recipients’ data are stored: https://www.newsletter2go.com/information-for-newsletter-recipients/. This will answer all your contacts’ questions about how we handle/process their personal information we store for you, without your having to do any extra work! You’ve read the information on this page and our FAQ on data protection, but you’re still not convinced we’re the right partner for GDPR-compliant email marketing? Good luck with all your further email marketing endeavors!